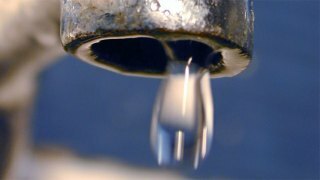 Water users in the South Bay may have noticed a dirt-like smell coming from their faucets, but the Santa Clara Valley Water District said there's no cause for alarm. The odor is purely aesthetic and does not pose a health concern, the district said. It is working to minimize or eliminate the odor at its water treatment plants. The smell is caused by geosmin, a compound produced by algae that has recently bloomed in the Sacramento-San Joaquin Delta, where the water district gets more than half of the water it supplies to northern Santa Clara County, the district said. Geosmin is not an algal toxin, so the safety of the water is not impacted. The human nose, however, is very sensitive to geosmin - some people can smell it at extremely low levels, the district said. Levels up to 25 ppt have been measured in Delta water this week. Some South Bay water users receive that Delta water through the South Bay Aqueduct and two water treatment plants, Penitencia and Rinconada, that are not yet equipped to remove the geosmin, the district said. Penitencia serves parts of Milpitas and the northeastern part of San Jose. Rinconada serves the western part of the valley, including parts of San Jose, Santa Clara, Sunnyvale, Campbell, Cupertino, Mountain View and Los Gatos. The Santa Teresa Water Treatment Plant, which serves South San Jose, remains unaffected, the district said. Chilling tap water before drinking it could make taste and smell issues less noticeable, but the district said it is not necessary to boil water. To learn more about taste and odor issues, visit the district's website.